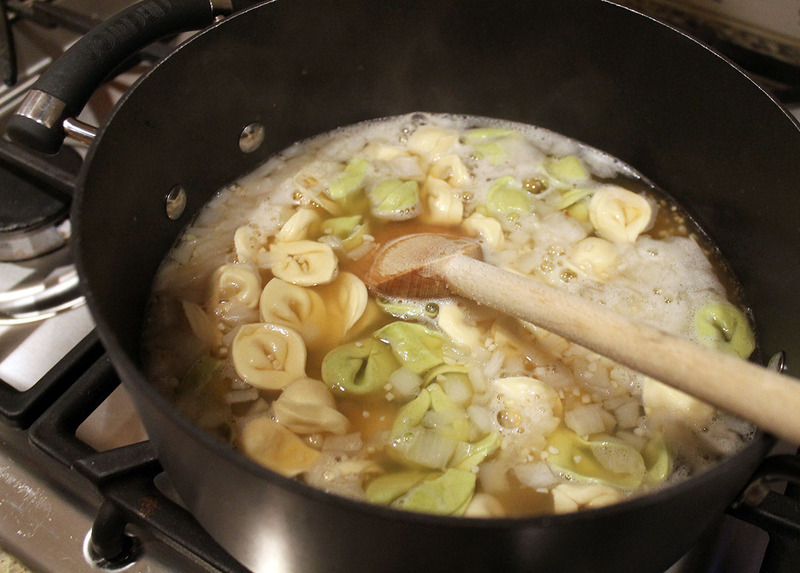 Soup is such a great meal in the winter! 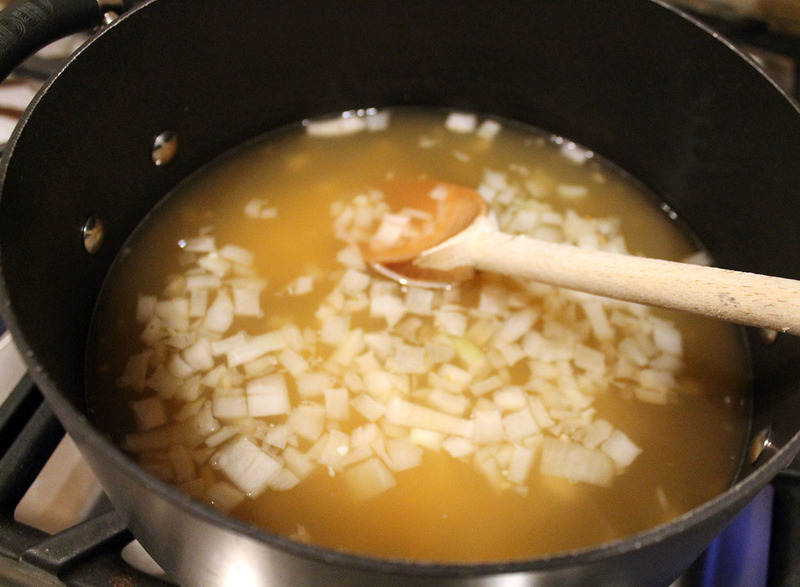 It just warms your insides and I always feel like broth (of any kind) is so nourishing to the body. 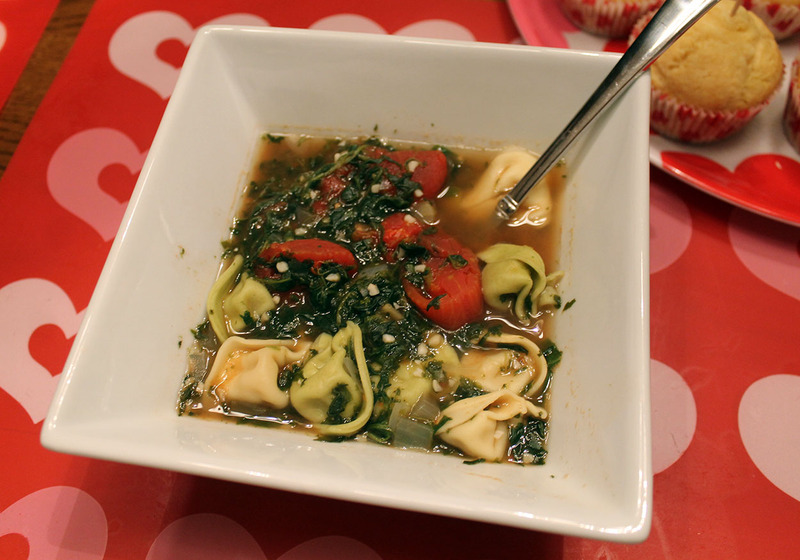 We love this spinach tortellini soup at our house…it has great flavor, it’s heart healthy, and it’s pretty simple to throw together on a busy night when you want a home-cooked meal! 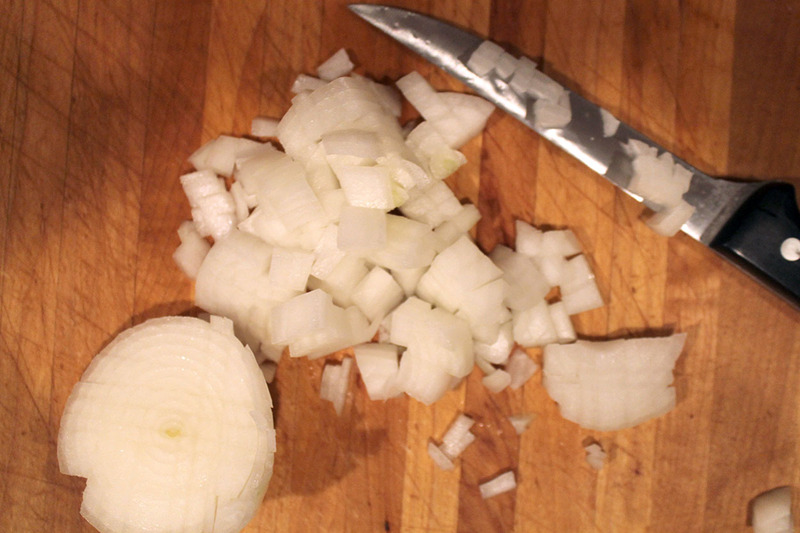 Chop the onion. 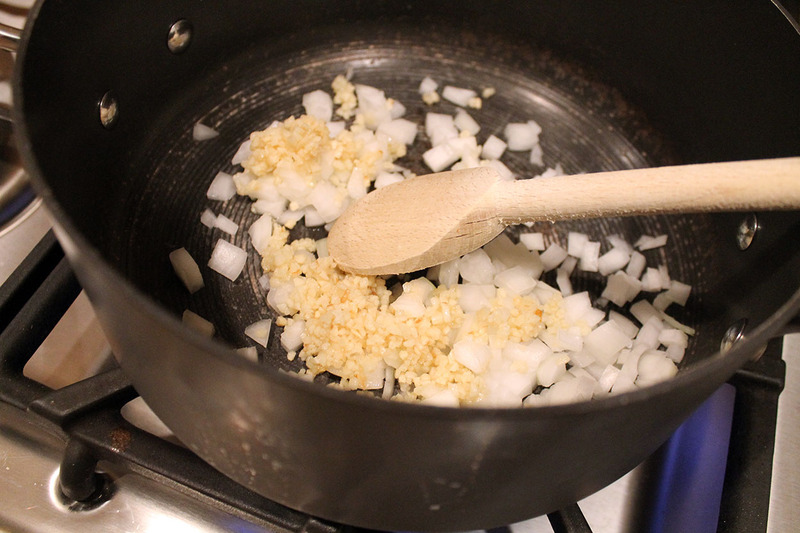 In a large pot saute the onion, along with the garlic. 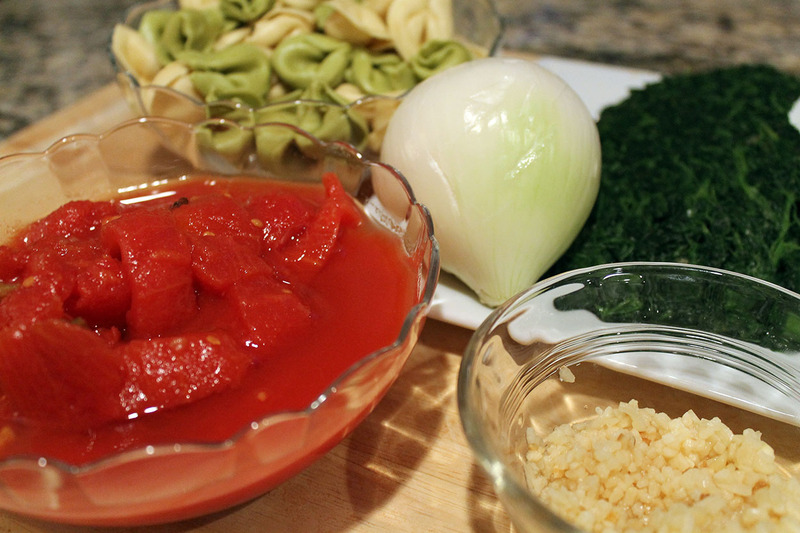 Add the tortellini and reduce heat. Simmer for 10 minutes. 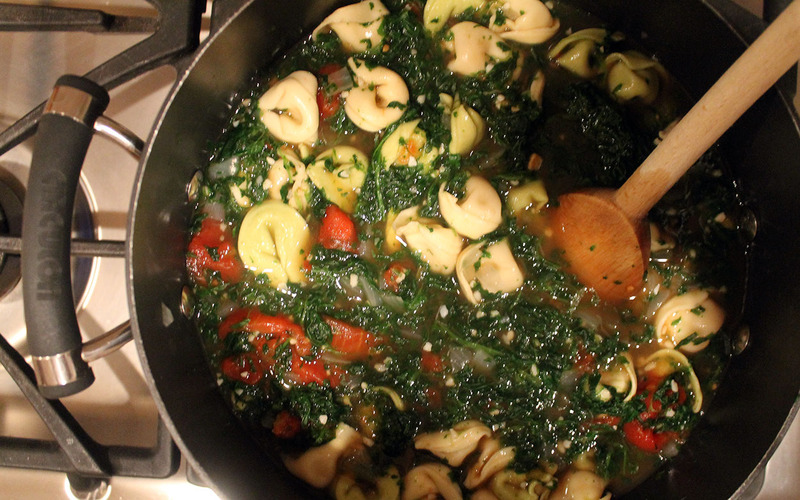 Stir in the tomatoes and spinach. Continue to simmer for another 5-10 minutes, or until everything is combined and heated through. 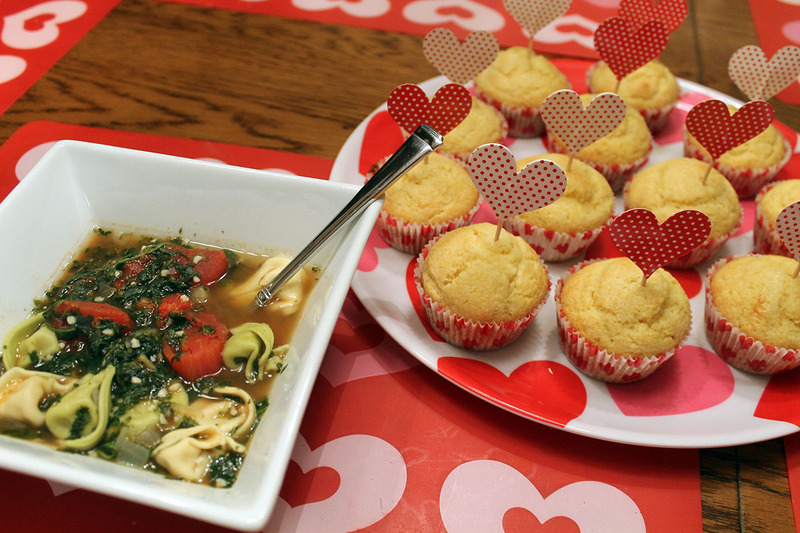 It makes a great lunch or a light supper served with a salad and some bread…I like corn muffins along with it! This sounds so good and healthy! Such a great idea it’s like the Italian ramen. Have to give this a go.